Al-Qaeda in the Arabian Peninsula (AQAP) is a terrorist group formed in 2009 from the merger of al-Qaeda in Yemen and other Yemeni and Saudi jihadists. 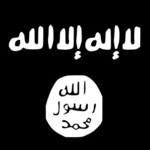 Like the core al-Qaeda organization to which it pledges loyalty, AQAP seeks to remove Western influence from Muslim countries and replace non-Islamist governments with a caliphate. The insurgency conducted by AQAP and its predecessors has included an assassination attempt against a Saudi prince, attacks on foreign tourists and oil pipelines, and the 2008 bombing of the U.S. embassy in the Yemeni capital Sanaa. More than two dozen U.S. diplomatic facilities were closed in 2013 amid fears of a broad AQAP terror plot. The group has also targeted the U.S. homeland through an underwear bomber's failed attempt to down an airliner over Detroit on Christmas Day 2009 and a thwarted 2010 effort to blow up Chicago-bound cargo planes with explosives hidden in printer cartridges. Before being killed by an American drone, AQAP propagandist Anwar al-Awlaki, a U.S. citizen, groomed many terrorists, including Fort Hood murderer Nidal Hasan. 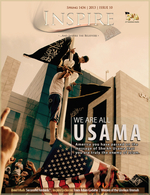 Inspire, a jihadist magazine launched by AQAP in 2010, continues this legacy.